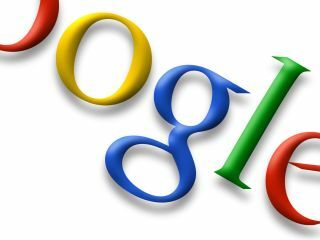 Google has again tweaked its search algorithm to bring users more recent and relevant results, the company announced on Thursday. The 'freshness algorithm' update, which Google says will affect over a third of all searches, will offer the newest results for recurring events like the Olympics (searches will yield 2012 results instead of 2008). It will also bring the latest posts from developing news stories and analyse web trends to bring you the results most prevalent to your search query. In a post on the company blog, Google's Amit Singhal says the update will bring a more instant flavour to search results about recent events. "If I search for Olympics," he wrote. "I probably want information about next summer's upcoming Olympics, not the 1900 Summer Olympics. "Google Search uses a freshness algorithm, designed to give you the most up-to-date results, so even when I just type Olympics without specifying 2012, I still find what I'm looking for. "Given the incredibly fast pace at which information moves in today's world, the most recent information can be from the last week, day or even minute, and depending on the search terms, the algorithm needs to be able to figure out if a result from a week ago about a TV show is recent, or if a result from a week ago about breaking news is too old." The update builds on the success of the Caffeine Index Update, which allowed faster trawling of the web archives in order to easily dig out the freshest information. Singhal is keen to point out that the new algorithm won't push the most prevalent information onto the sixth page of search results for the sake of pushing fresh content. He added: "Different searches have different freshness needs. "This algorithmic improvement is designed to better understand how to differentiate between these kinds of searches and the level of freshness you need, and make sure you get the most up to the minute answers."